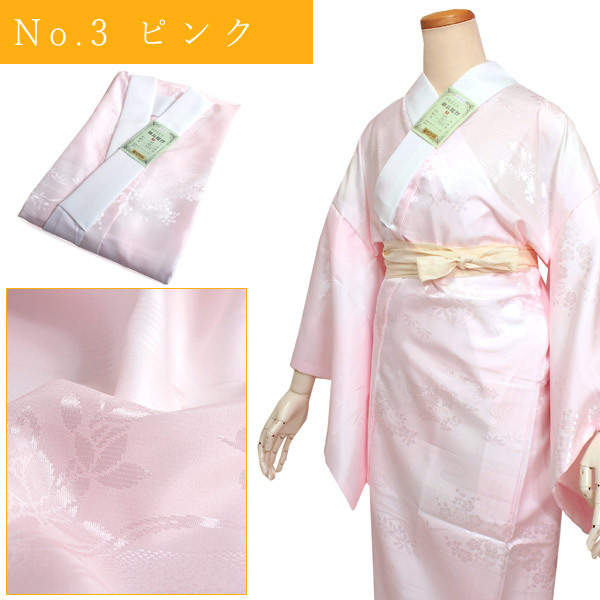 The long undergarment has the important duty that protects an important kimono from a dirt. 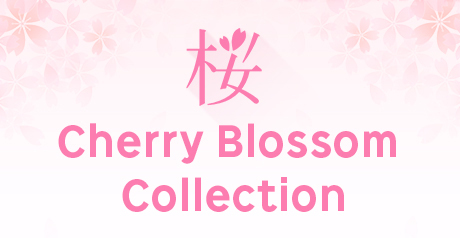 When a long undergarment is not worn neatly, the figure in a kimono is not beautiful, too. 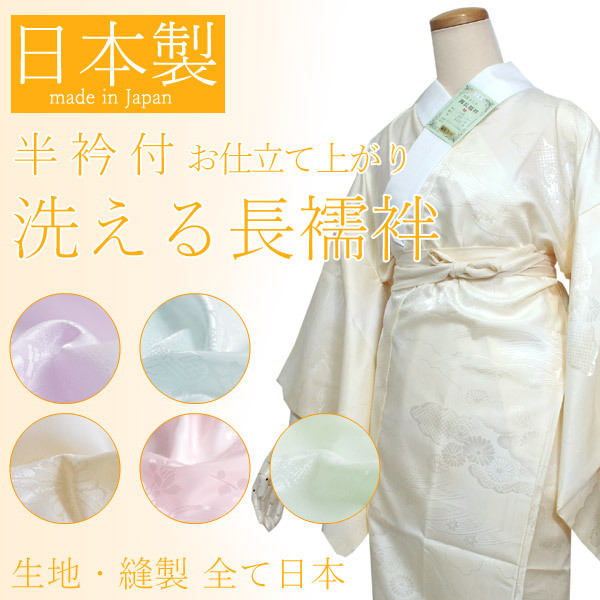 A product made in Japan worn in peace is reliable. 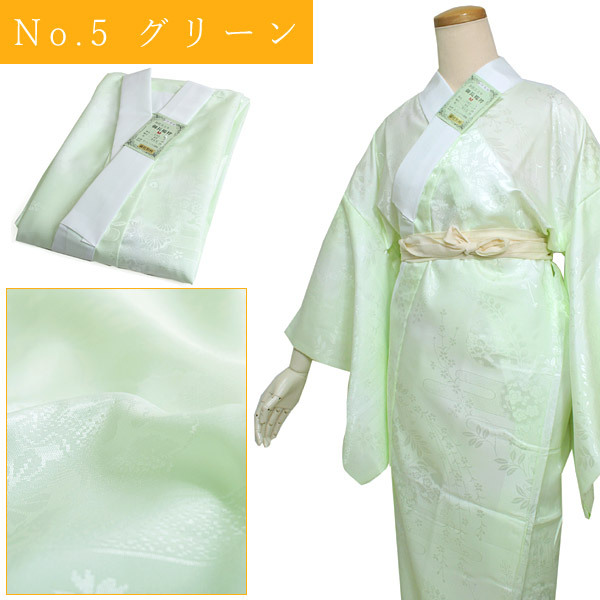 …It is a product made in Japan made in all the cloth, the sewing. 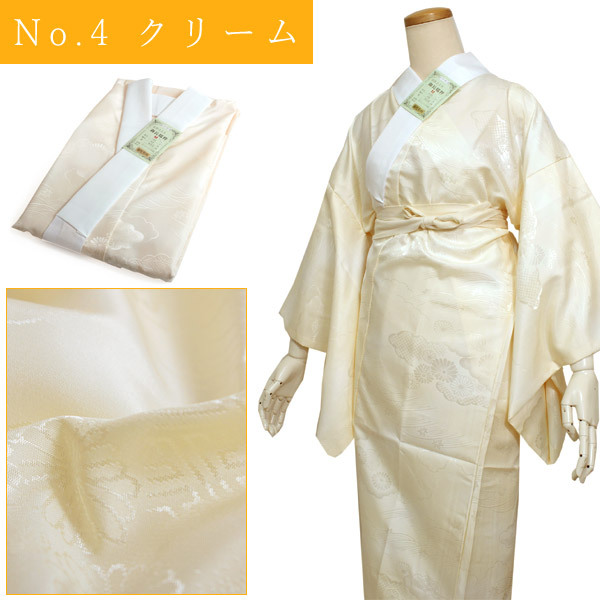 …As it is a polyester material, I can wash it. I can wear it willingly without minding sweat and a dirt. 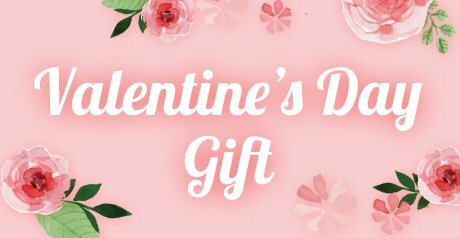 …As it is tailored, you can wear it after sending it immediately. As the decorative collar is sewed, I am reliable at the time of dispatch. 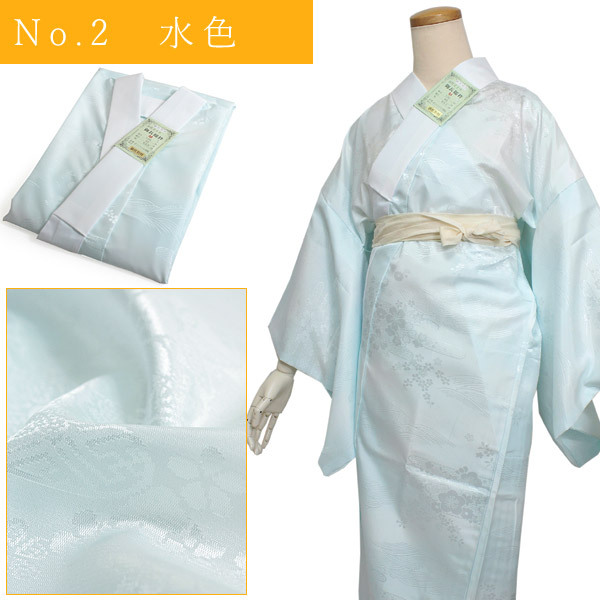 …As it is Kansai sewing of the bag okumi (I drink a bag), it is an edge of the form same as a kimono. 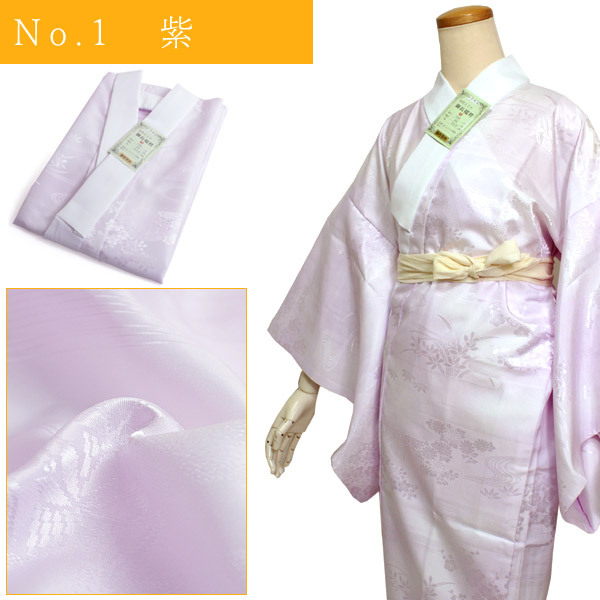 I am easy to dress you and the handling of the skirt is good and protects the hem of the important kimono. 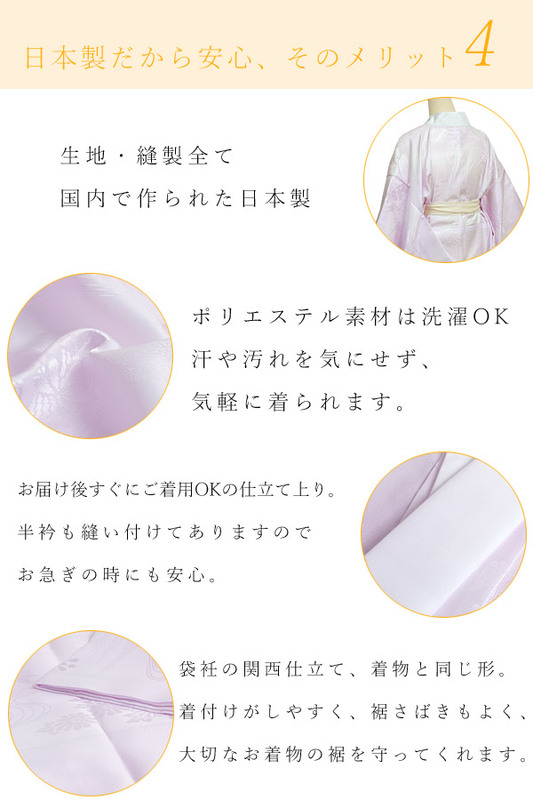 ※The product to send may become the pattern unlike the thing of the image. 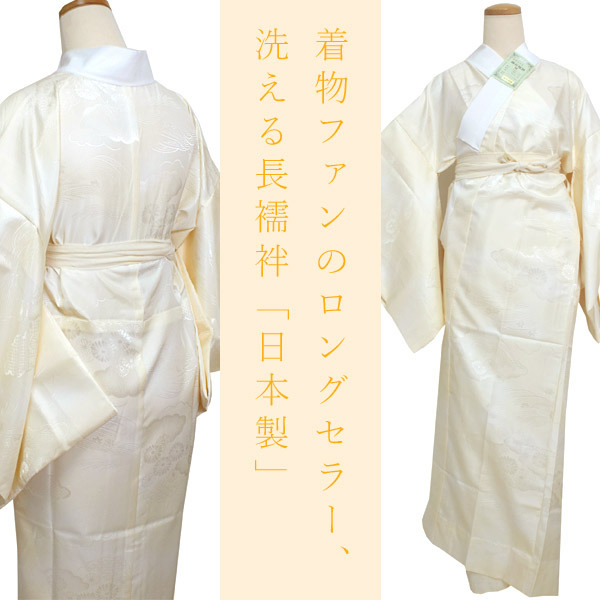 ※The decorative collar attaching is white. 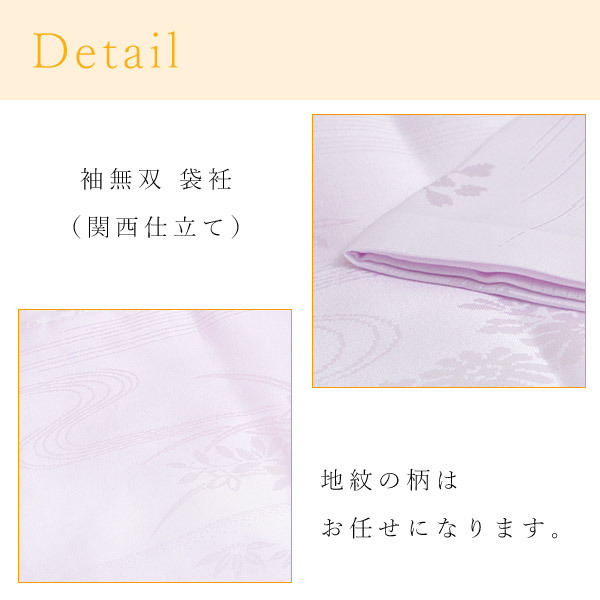 ※The sleeve part is the sleeve incomparableness which became double. The body part becomes the unlined clothes makeup without the lining.